The Ultimate WordPress User Guide For Beginners provides FREE in-depth step-by-step tutorials on how to use WordPress to publish content online quickly and easily. Are you looking for detailed step-by-step tutorials that will show you how to get the most out of using your WordPress website or blog? The “Ultimate WordPress User Guide For Beginners” below provides links to FREE in-depth tutorials showing you how to easily and quickly use WordPress to publish your content online. After installing and configuring your WordPress site or blog, the next step is to learn how to use WordPress to create and publish your information online. In the Ultimate WordPress User Guide For Beginners, we show you how to log in and log out of your WordPress site, how to navigate inside your WordPress Dashboard area, how to create new Pages or Posts, add and format content (text, images, videos, etc. ), and so much more … without coding skills! We recommend bookmarking this page for future reference or downloading the FREE PDF version at the end of this guide. If you have followed our WordPress DIY Installation Tutorials or had WordPress installed for you by someone like a website developer, you should have your login details available (login URL, username and password). We recommend configuring your WordPress site’s main settings before launching your web presence. There are many times, however, when you may want to change your settings, such as setting a specific page on as your home page, or creating a blog section to display your latest blog posts, etc. WordPress provides many powerful and unique features that allow you to expand, enhance, and customize your website’s functionality, web design, page layout, and improve your site users’ experience. As you become a more confident and competent WordPress user, you will discover that with WordPress, almost anything you need to do or can imagine doing with your site is possible. After mastering the basics of using WordPress, the next step is to learn how to manage and promote your site. Your business needs web content. You need content for your website, blog, social media pages, newsletters, etc. Great content drives traffic to your sites, educates visitors about your products and services, converts prospects into new sales and subscribers, trains clients, and so much more! At WPCompendium.org, we not only show you step-by-step how to build, manage, and grow your own digital presence with hundreds of detailed WordPress step-by-step tutorials, we have also created a detailed and in-depth content creation course that you can use to create great content for your website or blog … 100% FREE! 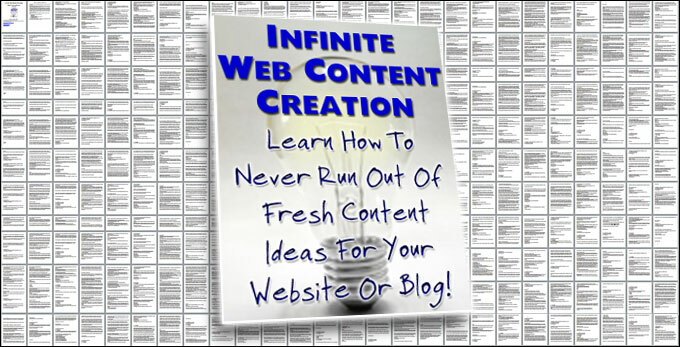 Infinite Web Content Creation teaches you a systematic approach to content creation and helps you grow your business. This in-depth course will show you how to create all the content you will ever need to market and promote your business online. You will learn easy methods for generating endless new content ideas to keep your readers interested, engaged, and coming back to your site. In addition to providing lots of great content ideas, this course also shows you how to write high-quality content, how to develop an effective content plan and content marketing strategy, and how to outsource content writing for great results. Hopefully, the above tutorials will help you master using WordPress and build a successful web presence for your business or personal use. Learn how to build a professional website for your business, church, school, community group, or organization in one day with WordPress … no coding required! WPCompendium.org can help you! We’ll show you how to create a website from scratch with no coding skills required … for FREE! 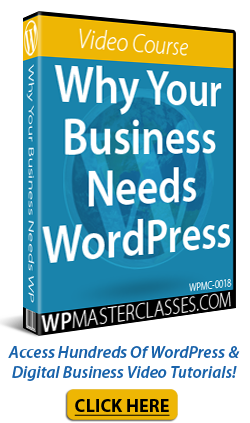 Learn How To Create A Professional Website For Your Business From Scratch With WordPress – No Coding Required! 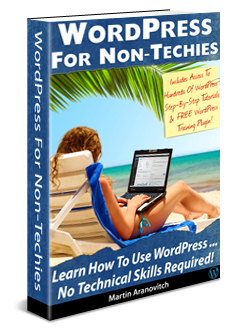 We provide comprehensive WordPress step-by-step tutorials for non-techies, including an entire WordPress Overview module that explains what WordPress is and the benefits of using WordPress to build your business online. I Already Have A Website But I Want Better Results – Can WordPress Help Me? Your website could be powered by WordPress but you may not know it! Over 25% of all websites use WordPress. 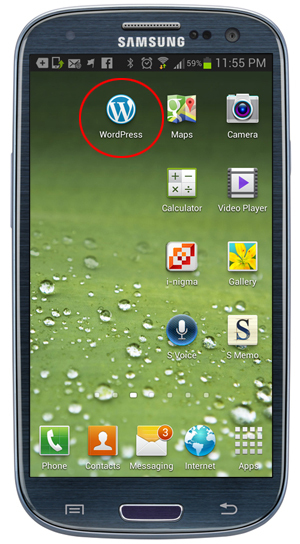 Your website could be built using WordPress, but for some reason, your web developer has not informed you of this. You can keep your existing website and add a WordPress blog to explode your online marketing results! WordPress is free, easy to use and puts you in complete control of your online presence (that’s why millions of people love it!). You can keep your existing website and add a powerful blog (or membership site, e-commerce store, etc.) 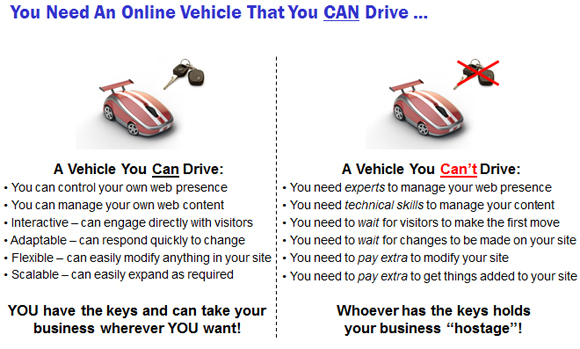 to your domain (or another domain) that you can then use to drive more visitors and prospects to your business. Can I Really Build A Professional Website From Scratch With No Coding Skills … In Just One Day? If you want to get better results with your website, however, you will want to spend a few days planning your website before installing, then configuring your settings after installation, and adding your initial content before launching. Regardless of whether you plan to create the initial content yourself, outsource it or a combination of both (e.g. you write the content and hire a graphic designer to create your logos, headers, banners, etc. ), you should allow at least 1-2 weeks, then, before your new website is ready to launch. As you can see, you can create a professional website for around $60 per year, plus your time. You are probably wondering … why build your own website? Why not just hire a professional web developer to build a website for you? Learn How To Create A Professional Website In One Day With WordPress And WPCompendium.org!